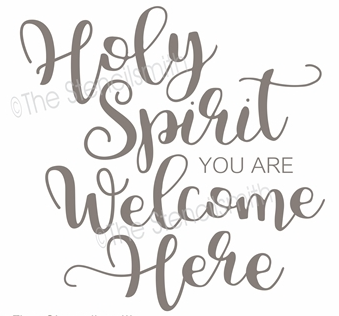 "Holy Spirit You are welcome here " is a custom sign painted and created by me. I am in the process of finishing it up. 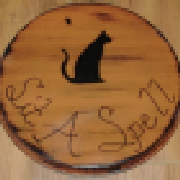 It measures approximately 12" x 12". I am painting it vintage white with gray lettering and design in premium acrylics. It will be aged and sealed. Perfect wedding gift!